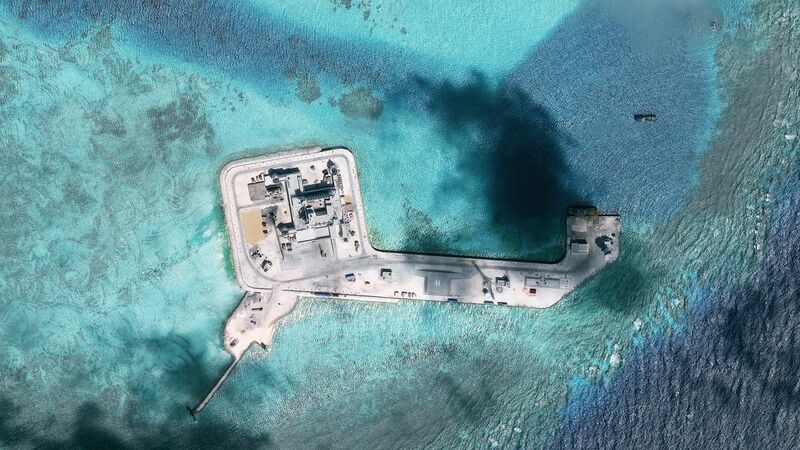 Hughes Reef, a disputed area in the South China Sea. Photo: DigitalGlobe via Getty Images. The Pentagon has withdrawn China's invitation to the Rim of the Pacific (RIMPAC) exercise in Hawaii due to China's expansion and militarization in the South China Sea.